Explore our selection of pressure gauges and gauge adapters below. 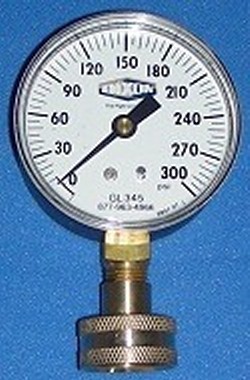 Our gauges feature a diameter of 2 inches to 2.5 inches and can handle max pressures of up to 100PSI, 200PSI, or 300PSI. All FGH and MPT pressure gauges are made in China.